10. Get Low: Aaron Schneider’s Southern Gothic tale offers the pleasures obvious in its ads—Robert Duvall cooting it up, Bill Murray further fine-tuning the art of bemusement—but this is a film of real depth and power, one that sneaks up on you with its laid-back style, then knocks you flat with the emotional force of its closing scenes (which may very well represent the best work Duvall has done in a film, and that’s saying something). 9. Animal Kingdom: A family crime epic with dirt on the floor, David Michôd’s Animal Kingdom reaches for no effects, just steadily building, ominously, perilously; Michôd, who has a gift for finding striking visuals in mundane, everyday environs, slowly and patiently builds a sense of unwinding dread, which becomes so thick it threatens to suffocate the viewer. 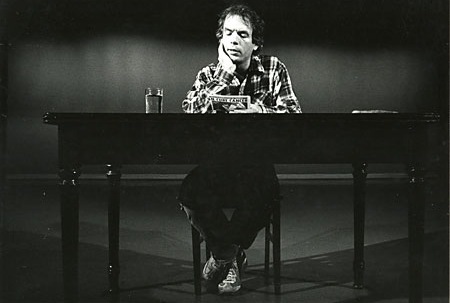 He hones in on the psychological make-up of the family, the specific ways in which they work each other over, and takes in the their rituals and behavior with an anthropologist’s eye. This is potent, powerful filmmaking. 8. 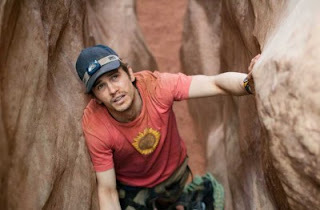 127 Hours: Is there anything Danny Boyle can’t do? In reenacting the fall and rise of Aron Ralston, the climber who had to amputate his own arm to get out from under a fallen boulder, the filmmaker wisely focuses not just on the tense claustrophobia of his dilemma or the graphic gore of his extraction from it. Boyle’s most ingenious move is to amp up the slap-happy energy of the opening sequences, making Aron’s thrill-seeking life palpable, contagious, and worth fighting for. 7. Greenberg: Writer/director Noah Baumbach crafts a very smart movie, and a very tricky one—not merely another tale of an introvert who has lost his way, and is brought to his senses by the love of a good woman, but the story of a difficult guy with real problems, which manifest themselves in ways that are not easy to get past. It’s a risky picture, but the wit of Baumbach’s dialogue and the deceptively sunny aesthetic—to say nothing of Ben Stiller and Greta Gerwig’s brilliant leading performances—pay off, big time. 6. Toy Story 3: And Pixar does it again. It’s not supposed to work this way—the third film of a series isn’t supposed to be its finest, and the second sequel to an animated family movie isn’t supposed to hint at Truffaut-esque bittersweet cinematic melancholy. 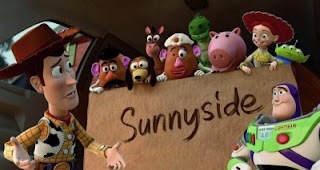 Toy Story 3 makes you laugh, quickens your pulse, and breaks your heart; it entertains effortlessly, and wrings out the viewer honestly. It’s sweet, endearing, and nostalgic, but with a sly and welcome adult edge; it is everything that Pixar does well. 5. Joan Rivers: A Piece of Work: Ricki Stern and Anne Sundeberg’s extraordinary documentary spends a full year with the hard-working comedienne, and in the process, radically alters our impressions and expectations of the living legend with equal doses of candor, honesty, and hilarity. She lives her life as an open book, begging the question of whether we’re getting an honest impression or a calculated performance. The genius of the film is how it leads to understand that it may very well be both—Rivers has been performing so long, it could be said that she is always “on,” that the clear boundaries between person and persona evaporated decades ago. 4. True Grit: The brothers Coen don’t so much reimagine Charles Portis’s novel (and Henry Hathaway’s previous film adaptation) as they do realign it with the stripped-down, straight-up style they perfected in No Country For Old Men. 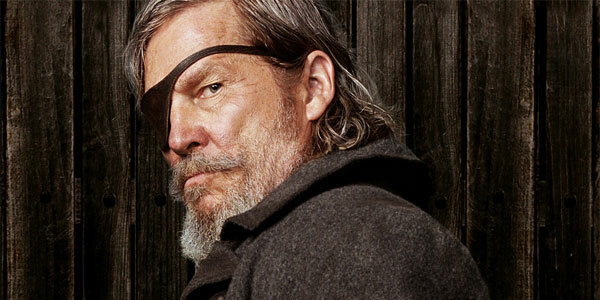 “Rooster” Cogburn seems a perfectly natural addition to the Coens’ stable of wonderfully loquacious heroes, while the gunplay is invigorating and the humor is arid-dry. 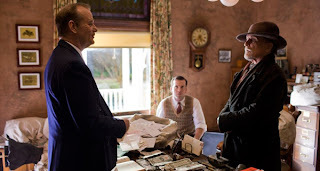 Like No Country, this lean, mean literary adaptation is respectful to its source and its traditions while still packing its own distinctive punch. 3. 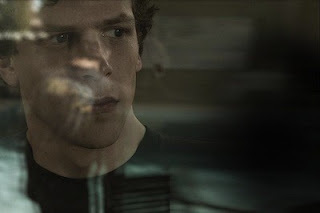 The Social Network: David Fincher’s latest is a business procedural played with the intensity of a thriller and the ingenuity of a screwball comedy. Aaron Sorkin’s screenplay is a torrential downpour of talk—invigorating, intelligent, fast-paced dialogue—given depth, shape, and ambience by Fincher’s moody direction and rapid-fire pacing; their shotgun marriage is unexpectedly effective. Some have complained that the picture is not sufficiently of its moment, that it doesn’t have enough to say about the “Facebook generation,” but Fincher and Sorkin never put that on the menu; they seem more interested in creating a bold, smart, raucously witty origin story, with a bit of Citizen Kane-style muckrakery thrown in for good measure. On those counts, it is a smashing success. 2. A Prophet: Jacques Audiard’s crime mini-epic is filmmaking at point-blank range, a stark, fierce ground-level potboiler of tremendous power. There’s a reckless immediacy to it— the picture has a grimy, off-the-cuff feel, but with gritty lyricism to match its low-down, pulpy aesthetic. In examining the rise of a small-time gangster, both inside and outside his prison walls, Audiard creates something of a crime procedural, an examination of precisely how these things are done—and it feels like a film that knows what it’s talking about, from the inside out. It’s a tough, bruising, unforgettable film. 1. Inception: Kudos to Christopher Nolan, who took the resources and budget of a major studio summer blockbuster, and utilized them to make a complex, challenging, thoughtful, thrilling, and ultimately rewarding film—to basically do everything you’re not supposed to do in a big-budget summer movie. But he did it, and it was a massive hit. There ought to be dancing in the streets when this happens. Audiences seemed to cotton to the picture for exactly the reasons that most audience-testing, 80s-movie-remaking studio execs would fear it—because of its intricacy. 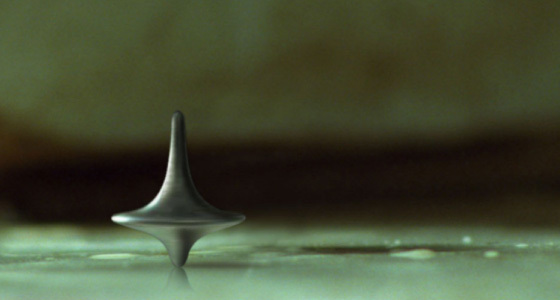 There’s an honest-to-God “wow” factor in Inception, not at the tilting streets or the zero-gravity fistfights, but at the sheer ingeniousness of the dizzyingly complicated interlocking narrative. Christ, I thought to myself. They’re really doing this. That is an exhilarating feeling to have as a moviegoer—and an increasingly rare one. HONORABLE MENTION: Just barely missing the top ten were Lisa Cholodenko’s light, jazzy The Kids are All Right; Nicole Holofcener’s wickedly witty and knowing Please Give; Charles Ferguson’s pointed, angry howl at the financial sector, Inside Job; John Cameron Mitchell’s powerful (and thankfully restrained) Rabbit Hole; and Barry Levinson’s You Don’t Know Jack, a made-for-TV biopic with more memorable dialogue and shades-of-grey storytelling than most theatrical releases. RUNNERS-UP: Other films worth seeing included (in no particular order) Black Swan, The King’s Speech, And Everything is Going Fine, The American, Casino Jack and the United States of Money, Fair Game, Mother and Child, Client 9: The Rise and Fall of Eliot Spitzer, Micmacs, Shutter Island, A Film Unfinished, Double Take, Scott Pilgrim vs. the World, Cyrus, The Town, Freakonomics, Easy A, Winnebago Man, Best Worst Movie, Breaking Upwards, and The Ghost Writer.